The Blog of Thog: Exciting News - New Webcam! Exciting News - New Webcam! 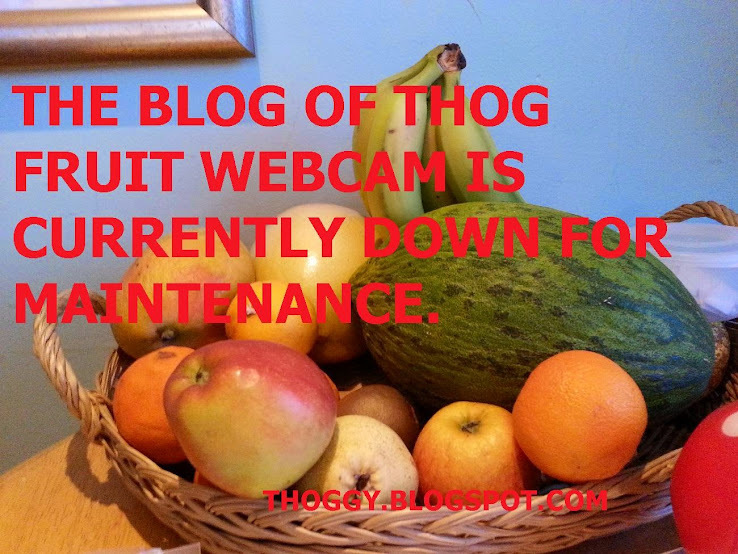 I'm happy to announce today the launch of the official Blog of Thog fruit webcam. It occurred to me that if you, like me, essentially buy fruit twice for month for it to look nice in the kitchen, allow it to age and begin to rot, and then once it has turned to mould then throw it away to make space for more fruit, well this is, to be honest, hideously inefficient. 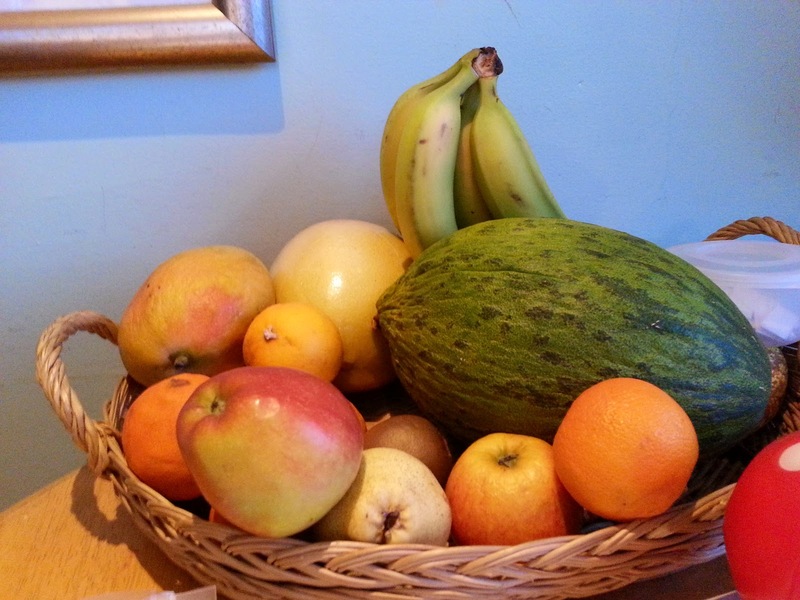 Of course we accept the need to have fresh fruit in the house at all times - it looks pretty and keeps fruit flies away from your beer - but isn't there a way to save us all money? We are pleased to be able to offer you realtime pictures of my bowl of fruit - you can stream these to your laptop or tablet and set them up in your kitchen, instead of spending time and money actually purchasing your own fruit. Which piece do you think will go off first? I'm betting on the Chinese Pear just in front of the kiwi. To go to the webcam right now, click here. We look forward to being able to offer you more facilities along the same lines - we're currently working on a website where you can virtually stand in a queue. Once fully functional it will be use your computers location to alter the behaviour of the people in the queue - for computers in Italy the queue will allow queue jumpers, for example, whilst on UK-based computers anyone attempting to queue jump will be set on fire. Why has nobody thought of this before?? !